*The FleetAdvance mobile application and usage come free with your program enrollment.The FleetAdvance web application is free for the first 60 days. After 60 days, a monthly service charge will be billed to your account. To unsubscribe, call your Customer Support number.Program terms and conditions apply. Visit www.comdata.com/fuelcard/terms for details. Fees may apply in some cases, such as for optional services, late payments and/or credit risk. 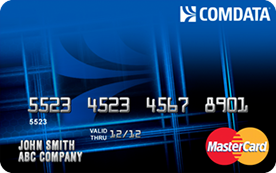 The Comdata MasterCard® is issued by Regions Bank, pursuant to a license by MasterCard® International Incorporated. MasterCard® is a registered trademark of MasterCard® International Incorporated. Comdata® is a registered trademark of Comdata Inc.